Andreas Schleicher fielding questions after delivering the 2015 HEPI Annual Lecture. 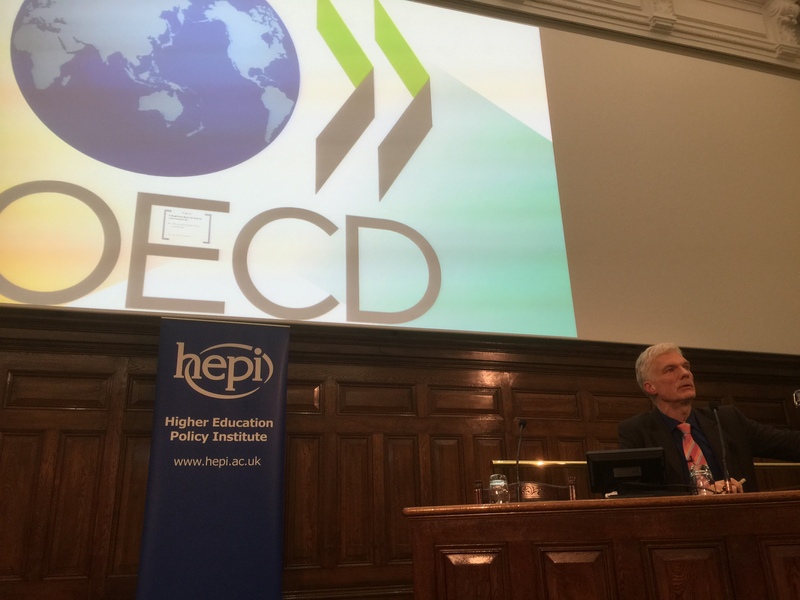 On Monday, 1st December 2015, Andreas Schleicher, Director of Education at the OECD, delivered HEPI’s Annual Lecture at One Great George Street in central London. The evening, including the reception afterwards, was kindly sponsored by Pearson and Wiley. HEPI published the text of the lecture in January 2016 and the slides from the presentation can be accessed here.